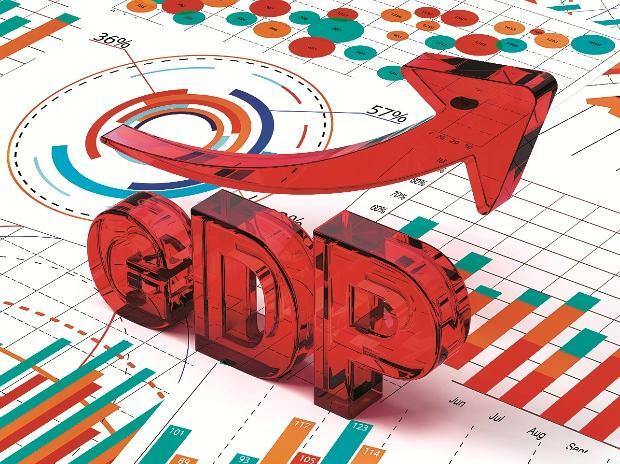 The GDP growth rate is likely to further decelerate in the third quarter of the current financial year, as compared to the first two quarters. Economists with independent agencies have pegged it at 6.7-6.9% against 8.2% for the first quarter and 7.1% for the sec­ond. Only EY India pegged it at 7.3-7.4%. The growth rate, along with the second advance estimates for FY19, are set to be released by the Central Statistics Office on Thursday. 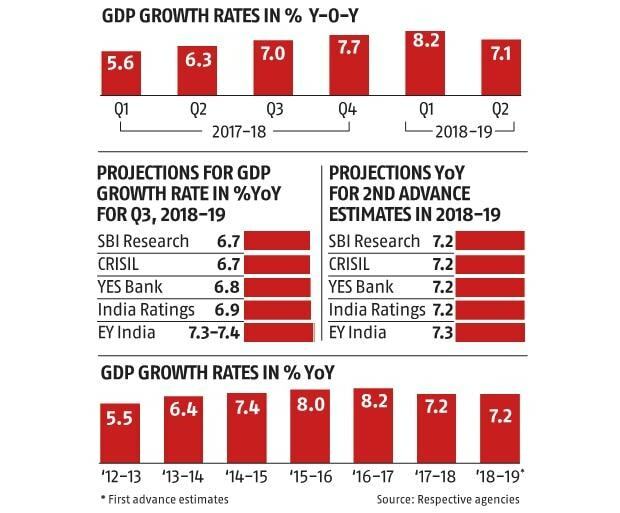 Most economists also projected the entire FY19 GDP growth rate at 7.2%, the same as the first advance estimates. This was despite the fact that 2017-18 GDP growth rate was revised from 6.7% to 7.2%, which could have a dampening impact on the growth numbers for the current financial year. For instance, SBI group Chief Economist Soumya Kanti Ghosh said the new number for 2017-18 would have pulled down GDP growth rate to 5.9% for FY19. However, he said the GDP deflator (a technical name for the inflation rate in the GDP series), which stood at 4.1% in the first advance estimates, could be revised downwards by 50 basis points, pushing the growth rate close to 7.2% for FY19.